Metropolitan Nicholas with (L-R): Fr. 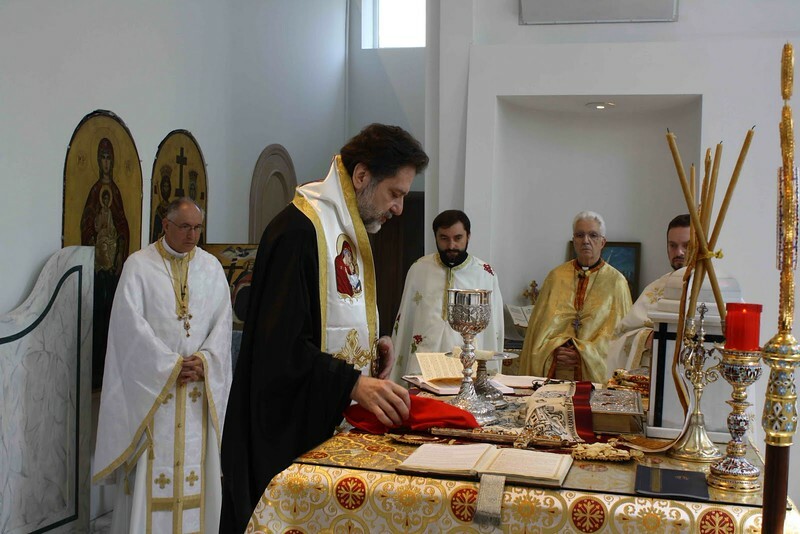 Dean Hountalas, Fr. Teodor Petrutiu (Proistamenos), Fr. Charles Sarelis and Fr. Sean Govostes.